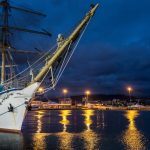 Nadezhda is a Russian registered tall ship that sails around the world. 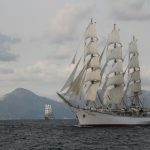 The ship is operated by the FSUE Rosmorport, a Russian organisation that also manages the tall ship Mir (Russia), and is used to help train Russian maritime civil cadets. 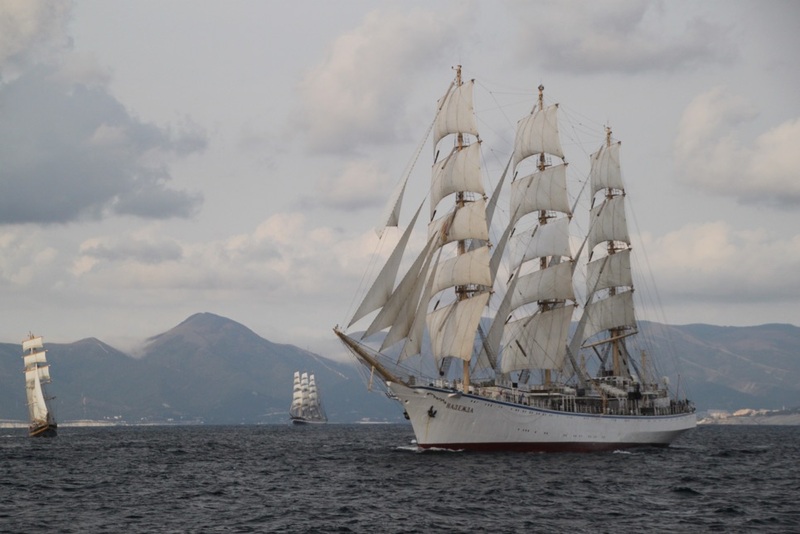 The name of "Nadezhda" (good hope) is a traditional name for the Russian fleet. The first ever ship to bear the name – a three-mast huckor – was built at the Bazhenins’ shipyard in the vicinity of Kholmogors in 1728. 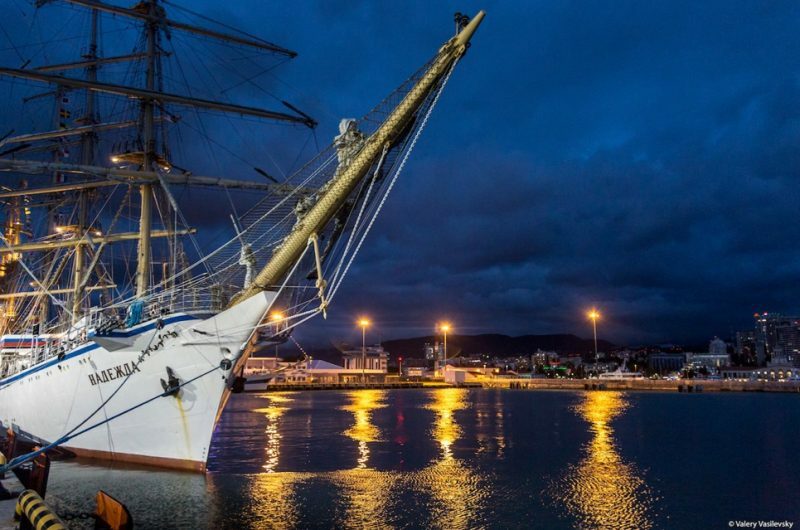 While aboard the ship, cadets have the opportunity to build their knowledge of sailing and learn how to sail this beautiful, Class A, tall ship whilst also developing their knowledge of marine navigation. Nadexhda is a single-hull, three-mast ship with steel masts and yards. The ship is full-rigged and has 26 main sails, 14 of which are square sails, with 12 fore and aft sails. The total area of the sails is about 3,000 sq.m.